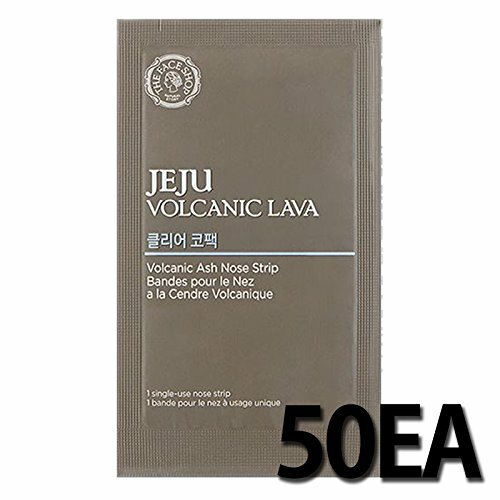 50EA THE FACE SHOP Jeju Volcanic Lava Volcanic Ash Nose Strip by THEFACESHOP at Elastic Heart. MPN: unknown. Hurry! Limited time offer. Offer valid only while supplies last. [How to use] 1. After face wash, wet your nose and area around your nose. Use dry hands to remove the transparent film and apply it on your nose. 2. [How to use] 1. After face wash, wet your nose and area around your nose. Use dry hands to remove the transparent film and apply it on your nose. 2. Leave for about 10-15 minutes until the strip has dried out, then remove slowly from the edges. This purifying pore line contains volcanic ash from Jeju Island to control excess sebum and purify pores.